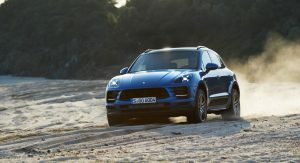 Porsche has announced plans to stage the North American debut of the 2019 Macan at the Los Angeles Auto Show. Looking instantly recognizable, the updated crossover features newly standard LED headlights and a modestly revised front fascia. 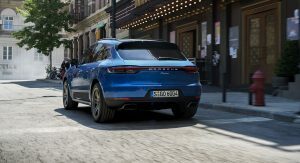 Bigger changes occur out back, as the Macan has been equipped with a “three-dimensional LED light panel” that echoes the one used on the Cayenne and Panamera. In North American, the crossover receives a revised color palette that now includes Chalk, Dolomite Silver Metallic, Mamba Green Metallic and Miami Blue. These colors largely carryover from the European variant, but Chalk appears to replace the Crayon option. 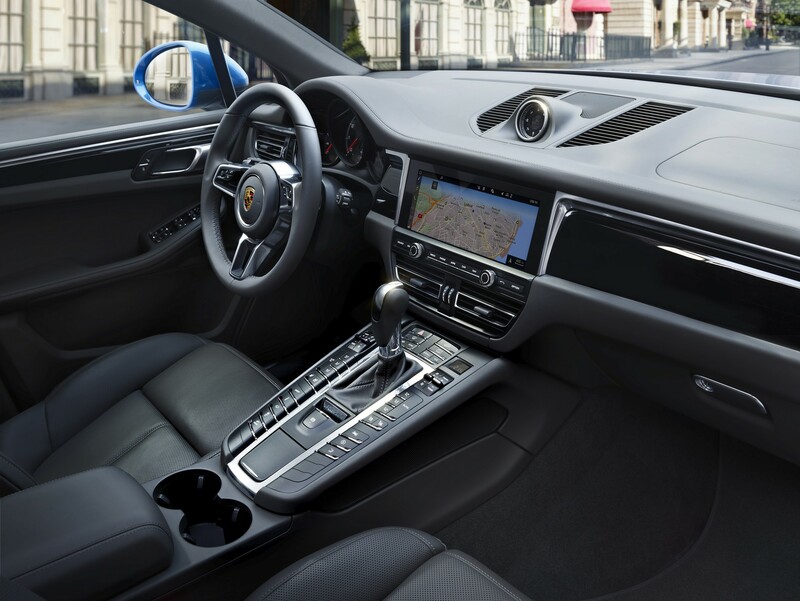 Moving into the cabin, drivers will find a larger 10.9-inch infotainment system which now comes with a WLAN hotspot and Porsche Connect Plus. The latter features an LTE phone module and a SIM card reader. 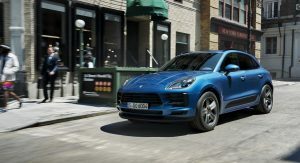 Speaking of technology, the Macan gains several new options including a Traffic Jam Assist system. 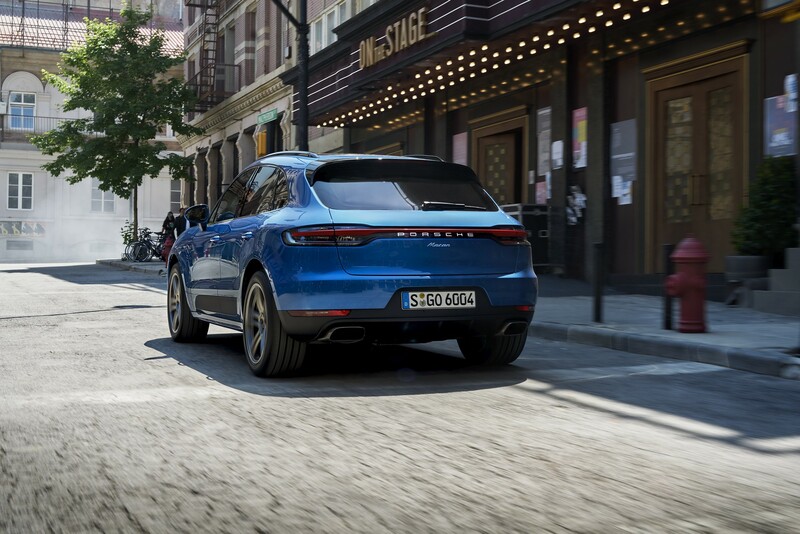 Designed to work in conjunction with the adaptive cruise control system, the technology enables the Macan to accelerate, brake and keep itself centered in its selected lane at speeds up to 40 mph (64 km/h). 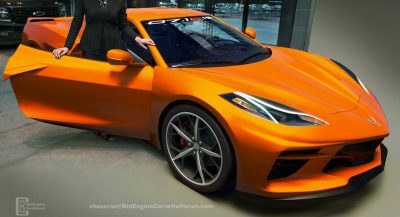 Other new options include a 911-inspired GT Sport steering wheel, a heated windshield and an air ionizer. 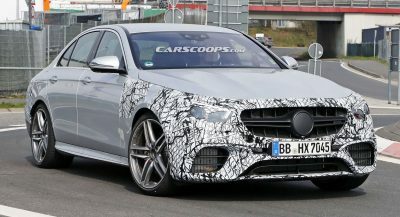 A turbocharged 2.0-liter four-cylinder engine resides under the hood and it produces 248 hp (185 kW / 251 PS) and 273 lb-ft (370 Nm) of torque. 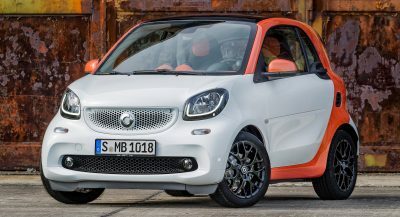 It is connected to a seven-speed dual-clutch gearbox which enables the crossover to accelerate from 0-60 mph (0-96 km/h) in as little as 6.1 seconds before hitting a top speed of 142 mph (228 km/h). 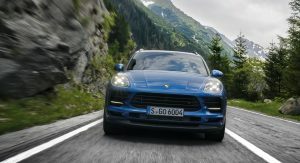 While the powertrain carries over, the Macan rides on an updated chassis that promises to be more comfortable than its predecessor. The crossover also has 18-inch alloy wheels that are shod in newly developed tires which have better performance characteristics. 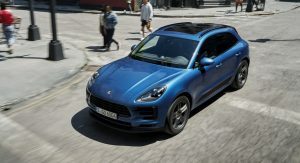 The 2019 Porsche Macan will arrive at U.S. dealers next summer, though you can put your order in now. 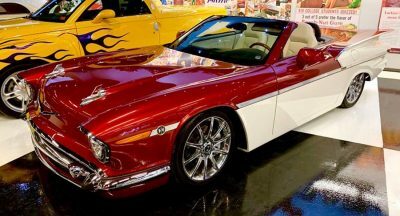 Pricing starts at $49,900 excluding a $1,050 destination and handling fee – and of course, any packages that you will most definitely find on readily available dealer-lot cars. CUTE, TAKING DESIGN CUES FROM THE I PACE. CAN’T WAIT UNTIL THE BLACK PLASTIC TRIM FAD PASSES. 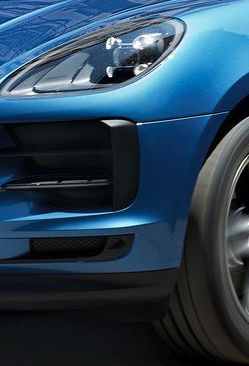 Maybe I don’t get your point, but the black side panels already existed in the pre-facelift Macan model. So since 2014. Or do you mean something else? Sorry if I misunderstood you. And Porsche can always make them body colored for a arm & a leg. Ill stick with my 2018 Macan S. It is a sweet ride. 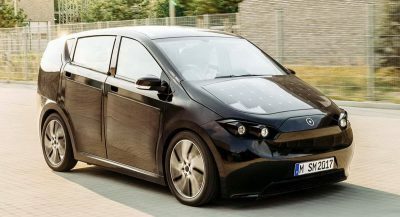 This article neglects to advise that by the time you load in the typical options you will be looking at $65,000 or more. 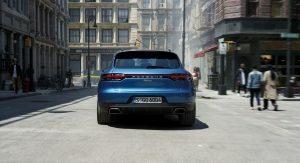 So basically its got a new and bigger screen inside and we’ll have to hold our breath until the Summer of next year for this exciting, new Macan. Given the fact that the Q5 it is based on was thoroughly renewed not to long ago, this just seems like a lazy and perhaps greedy move on Porche’s part. They know people will continue to buy these as-is, so why invest in it for the time being?